When Dr. Ralph Blatt helped establish Sunnyside Dental Centre, his goal was to provide families in the Old Toronto area with dental solutions to improve both their oral health and the visual appeal of their smiles. Caring for the dental needs of our community, with comprehensive treatment, remains the focus of our general dental practice. 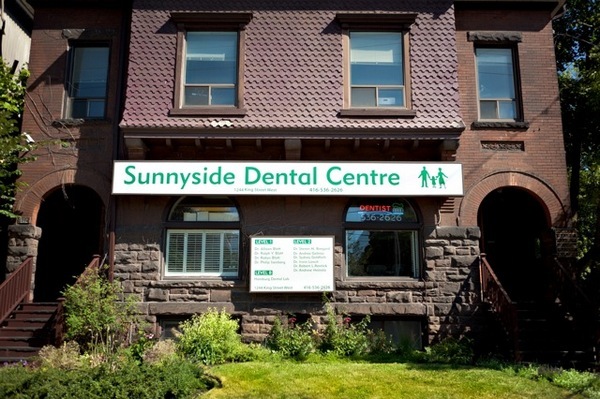 Serving patients from Parkdale to neighbouring King West Village and Liberty Village, families who come to Blatt Family Dental & Associates at Sunnyside Dental Centre receive individualized care, offered by a team who is truly enthusiastic about creating lasting relationships. At Blatt Family Dental, our Liberty Village dentists understand that your smile plays a significant role in your daily life. This is why we provide care based on the most important detail – what you want. In order to better serve patients from ages one to 99, we are committed to taking the time to understand your aesthetic and healthcare goals and to making recommendations specifically designed to help you achieve them. As a family-operated dental practice, we are passionate about creating a comfortable atmosphere for your family. In addition to prioritizing attentive care, we offer a number of sedation options to help make your experience at Blatt Family Dental as pleasant as possible. We understand that arranging for your comfort also includes being considerate of your time. With an in-house dental laboratory at Sunnyside Dental Centre, we are able to provide you with precisely constructed restorations promptly. For patient convenience, we will bill directly to your insurance company. Visit Blatt Family Dental Today – Contact Us! At our general dental practice in Old Toronto, we welcome the opportunity to serve the cosmetic, preventive, and restorative dental needs of your family! Located on King Street, we are situated near the Canadian National Exhibition and the Gardiner Expressway, easily accessible throughout Toronto, including nearby Liberty Village and King West Village. For more information about our services for restoring and maintaining smiles, contact Blatt Family Dental today!